Perform at Walt Disney World! If your chorus would like an opportunity to sing at Walt Disney World, TLC Tours can organize your trip and help you with the audition process. TLC Tours has been bringing Barbershoppers to Walt Disney World in Orlando, Florida since 1990. Not only do we know the parks themselves, but we also personally know many of the Barbershoppers who are employed as "Dapper Dans of Walt Disney World" on Main Street USA and the "Voices of Liberty" who sing in the Rotunda at the America Pavilion at EPCOT Center. With a TLC tour to Disney, the entire touring group is provided accommodation at one hotel right on Disney property which will keep us together until your performance time. Transportation to and from the airport, unlimited use of Disney transportation, and tickets to the park are all included in the TLC Tours plan. 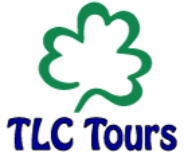 TLC Disney tours usually include an evening of special entertainment as well as a Walt Disney Workshop. Once the performance portion has concluded, everyone is free to enjoy the parks, and many will take advantage of an additional day or two before departure. Call us for a no-obligation quote. 1-888-609-2930.